Breaking news: Thank you Judge Stephens for blocking this ignant mess. It is time for the people of NC to say enough of the McCrory – Republicans ignance. Don’t allow these ignants to abuse the power. It is one thing to have the power and not use it but to use it to create ignant mess that will hurt all folk even those who don’t know, don’t understand or just don’t give a damn makes no sense. RALEIGH – Governor-elect Roy Cooper filed a lawsuit on Friday challenging the General Assembly’s special session law that revamps the state elections board. The Democratic governor has asked the courts to hold an emergency hearing Friday afternoon to block the law from taking effect while the lawsuit pends. The law was set to take effect on Sunday, when the North Carolina State Board of Elections would officially have ceased to exist. RALEIGH, N.C. — The incoming administration of Gov.-elect Roy Cooper is already giving noti, e to stalwarts of Gov. Pat McCrory’s administration that they’re being replaced and shouldn’t show up for work next week. Dismissal notices were given Wednesday to a few dozen McCrory political appointees in the governor’s office and state agencies, including the Department of Environmental Quality, Cooper spokeswoman Megan Jacobs said Thursday. The notices remind the McCrory staffers that they’ve worked at the pleasure of the outgoing Republican governor, and their jobs end once Cooper takes over early Sunday. My condolences goes out to Jackie Wade Battle (Sherod) and the entire family of the late Keevie Foskey Wade Snow Hill NC. Jackie know that we are just a phone call away. Viewing: Friday, December 30, 2016 from 6:00 PM Until 8:00 PM at the church. Funeral Service: Saturday, December 31, 2016 at 1:00 PM at Rouses Abundant Life Ministries in Ayden NC. A memorial service is set next week for a local leader who has succumbed to cancer. Taro Knight, a Tarboro town councilman and local high school principal, died Wednesday. He was 47. A viewing and memorial service is set for 9 a.m. and 11 a.m. Wednesday at the Keihin Auditorium on the Edgecombe Community College campus in Tarboro. Knight stepped down as mayor pro-tem a couple of months ago, citing his ongoing battle with cancer. He was fighting acute myeloid leukemia with chemotherapy in Greenville. Knight was diagnosed with the condition in April shortly after taking over leadership duties of the town council when the former mayor resigned. Knight said at the time he was devastated by the news but was optimistic. Curmilus Dancy, a local blogger and political activist, said via social media that he has known Knight for many years, dating back to the late 1980s when Knight would appear on his radio talk show. Dancy said he and Knight worked together on several local issues over the years. Dancy said he feels Knight played a big role in the success of North East Carolina Preparatory School, where Knight was the middle and high school principal before stepping down earlier this year due to his declining health. Battleboro community resident Janice Hale said she was sad to hear of Knight’s death. Hale said her thoughts and prayers are with the Knight family. Christmas 2016 – He Woke Me Up This Morning But If He Had Not, It Would Have Been Well With My Soul! God has been good to me he woke me up this morning at age 54. Could of been the other way. But if I had not woke up this morning it would have been well with my soul. I feel good this morning because this week I have tried to do something for my deceased friend Taro Knight’s family Tarboro NC stopped by on Wednesday and Thursday, my cousin Jackie Battle (formerly Wade) wife of my cousin Sherod Battle Snow Hill NC her mother expired visited them on Friday my family at work because I see them more than I see some of my blood family and I hope I made them smile. Today I have received hundreds of birthday wishes and I thank you. I am good but if you want to make me happy do something for someone that will happy someone out that may need some love. Just because someone seems to be doing good, looking good, they may be hurting on the inside. Don’t worry about how much it appears that someone has, you never know what they are going through. Christmas time is a time when we look forward to spending with our blood family but the link get shorter and shorter over the years. I had a grand other to expire on my birthday Christmas Day and I had a granddaddy to be buried a couple of days after my birthday so I can know how it is but I am good because I cherish the moments that I had to spend with them. Although we had a flood in October and my daddy is staying with me, I could not have a living daddy. He has always been there for me and it is a blessing to be able to bring him in until we get his house repaired. Folk I challenge you to show some love in the year of 2017 and stop just saying it. Sometimes we need to do something for folk because if they don’t have anything to eat just saying I’ma pray for you ain’t enough. Pray over the food that you give them. Don’t miss your blessings by not being a blessing to someone else. I have been better than blessed. Folk life is too short and this is a cold, cold world but you and I can work on changing it. I have not received on present from my immediate family because I don’t allow it, we do for each other all year long. I do for them (LOL). It makes my day to be able to do for other folks so today just the little I have done leading up to this week I feel goood! 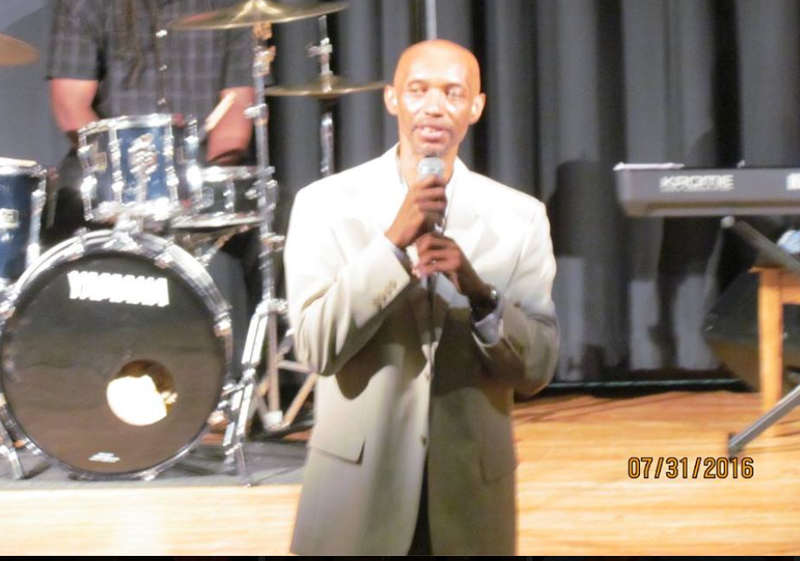 My condolences goes out to Kimberly Knight and the entire family of the late Taro Lovell Knight Tarboro NC. I have been knowing my brother my friend for many, many years dating back to the late 80’s when I had my talk show on WCPS 760 AM and Taro used to come down on Wednesday evenings with me. I remember when I educated them about politics and at one time I felt he had betrayed me because he chose to support a candidate other than the one that I was supporting. I had said that I was not going to deal with Taro anymore but then one day I said that there are some things that we can agree to disagree on. I remember during a Democratic Party meeting as I served as 3rd Vice Chair Taro a Precinct Chair told me he was going to nominate me to be the interim county chair to fill the unexpired term when Roy Gray stepped down. I was nominated and served from 1998 – 1999. Over the years we have worked on several things including the work of the NAACP and school issues. I remember when Taro became a board member at the Charter School and he knew how I felt about Charter Schools so I told him if he was going to help them get black children there to don’t allow them to use him. So when it came town for a hired position I told him he needed to get paid because Charter School board members didn’t get paid like the public school board members. I have never been on the campus of the Charter School but I heard it was beautiful out there. My ignant behind want to believe that Taro played a major role with the success of the school on today. I am so glad that I was able to support my brother and my friend during some unfavorable moments while trying to do his job before sickness came upon him. To the family of Taro Knight know that I am just a phone call away. Body Entrusted to: Hemby-Willoughby Funeral Homes Inc.
Commissioner Linda Joyner made a motion to add the buyout mitigation to the agenda for discussion and consideration and Commissioner Milton Bullock 2nd the motion. Commissioner Joeroam Myrick voted along with them. I feel this was a power play since Commissioner Pamela Ransome was not present. I felt that if it came down to a vote that Bullock would vote for it and I kept hearing that some thought that Joyner would too. I felt strongly that Mayor Bobbie Jones and Myrick would vote against. I have no clue how Ransome would have voted but I do know her vote would have made a difference because if she voted against the vote would have been a tie and the mayor could then have a vote he would have voted against. Now my ignant opinion and I stand behind it. Again I feel this was a power play and what good is having the power and not using it? Well I have no problem with that if it is for the right reason and the good of all involved. I understand Joyner’s plea for standing together and that her vote was not person when it comes to the buyout piece because she is not going anywhere. I feel that anyone running for an office it should be personal because if not then how can one effectively do their job. Now Joyner was elected by the citizens and she should take in consideration what they want but still she has an obligation to make sure the town can be ran effectively which includes the business of the town in all aspects. Ain’t nobody ignant to the fact that Princeville is in a flood zone and nobody knows when a flood will happen so therefore that was a given when this board was voted in. Since Ransome was not present tonight and the discussion and consideration about the buyout was not on the agenda, I feel that to add it to the agenda when all of the board members were not present was not right. Myrick and Bullock had not met with their ward members so Myrick wanted to wait for more information about the buyout. I am gonna just say buyout and not mitigation because that is what several folk want to talk about. Bullock said he had talked to his folk because he had not had his ward meeting either. But this is a problem for me because the entire board had agreed in a previous meeting that they would meet with their wards and now Joyner didn’t allow that to happen. Former Mayor Delia Perkins and Carlton Jones a realtor stressed that the board go ahead and vote so the citizens can move on. But the manager said that he wanted to find out what the elevation level and other before the board voted. He gave a date of February 14 for information to be dispersed by the state and at that time they could make a decision. A time frame of 12 to 24 months before the buyout process would begin so what is the rush? So what does the vote mean now? The only thing that I see is it mean that the investors that want to sell out their homes that they rent out will be able to do if their home qualify. But the problem I had with the vote is Joyner said it was not personal but knowing that Ransome was out with the flu why would she add the mitigation discussion act on to the agenda without a full board. I wonder how the vote we have gone if Ransome had been present to vote.